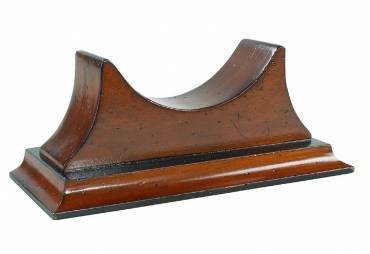 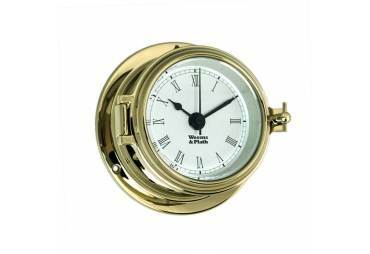 This beautiful Gimbaled Box Clock is reminiscent of the chronometers on board every seagoing vessel in the 18th and 19th centuries. 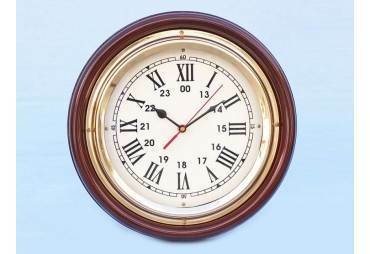 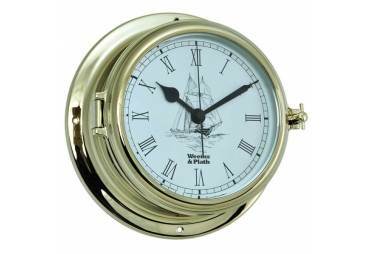 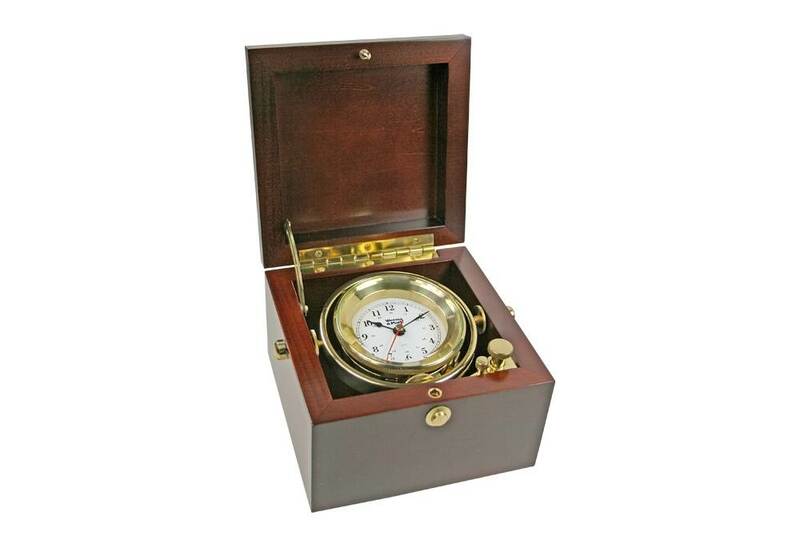 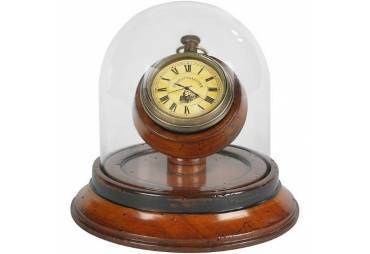 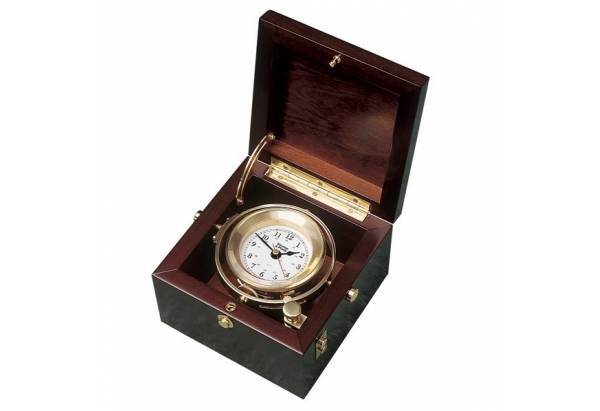 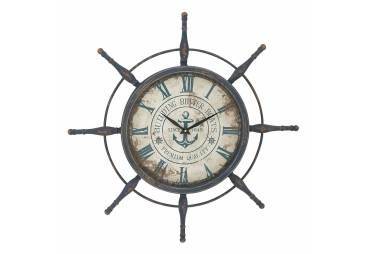 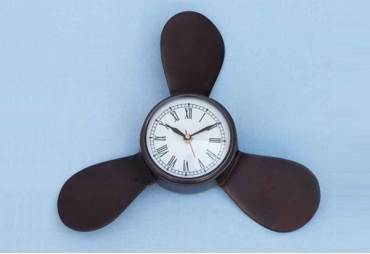 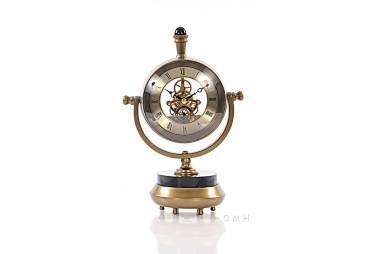 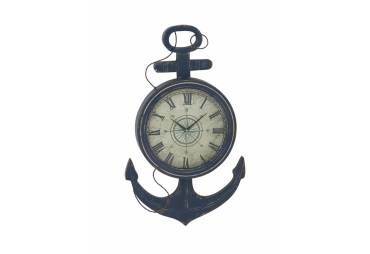 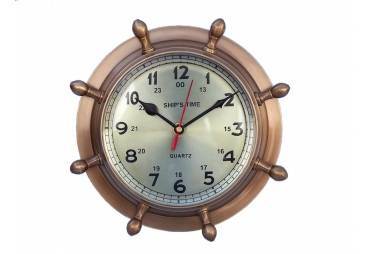 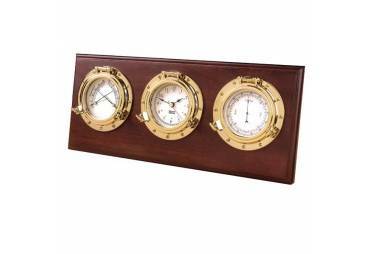 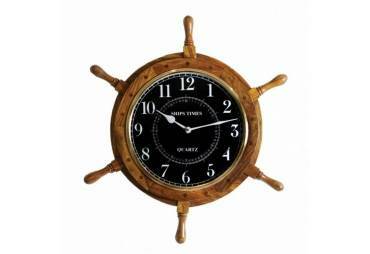 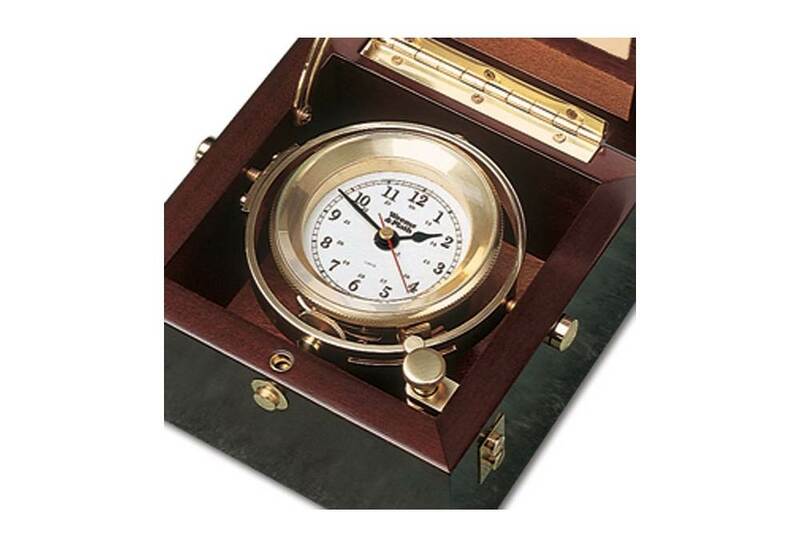 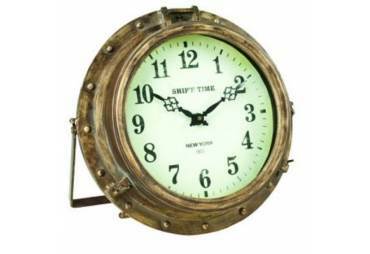 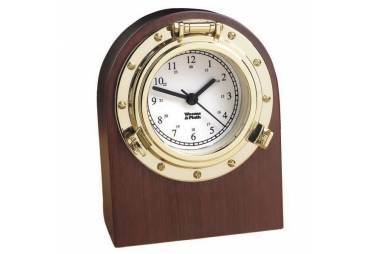 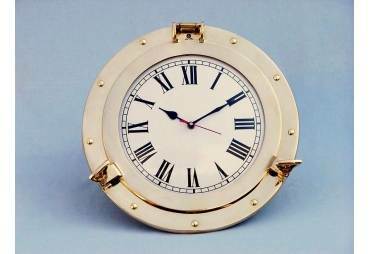 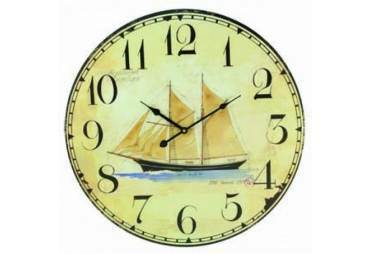 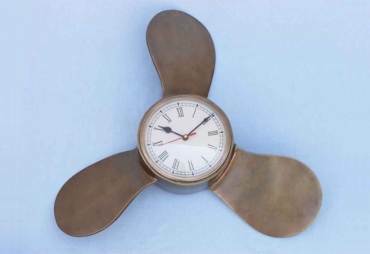 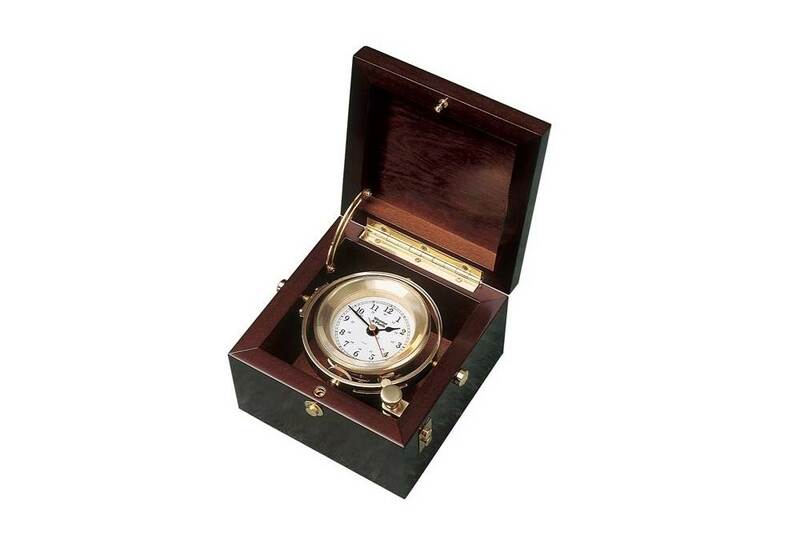 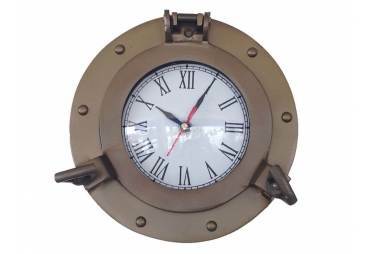 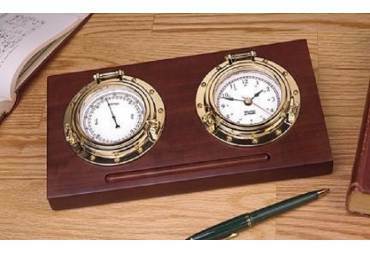 Box: 5 3/4" x 5 3/4" x 3 3/4"
This beautiful Gimbaled Box Clock is reminiscent of the chronometers on board every seagoing vessel in the 18th and 19th centuries. 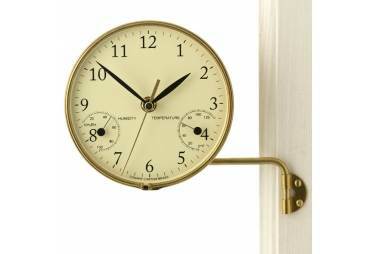 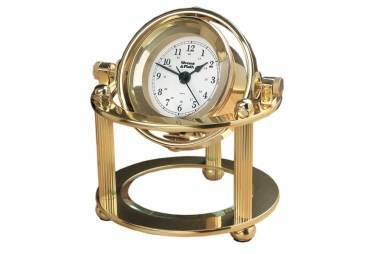 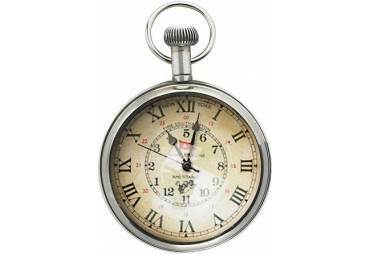 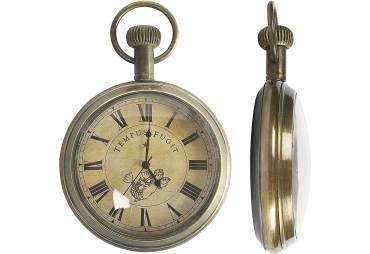 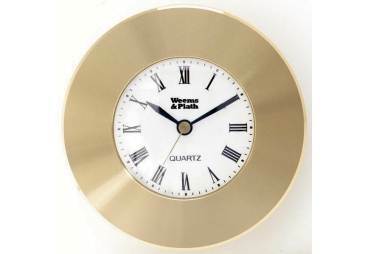 This box clock features a solid forged brass instrument that houses a German quartz movement resting in a traditional polished brass ship's chronometer gimbal with locking arm. 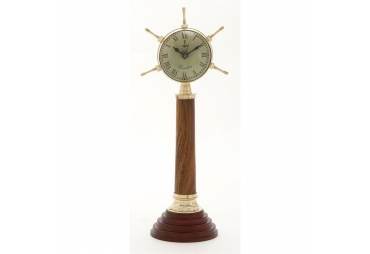 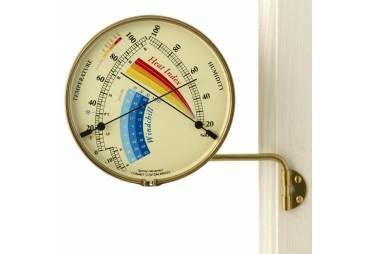 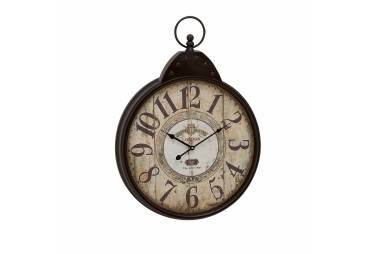 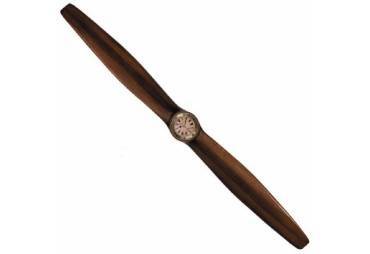 The gimbaled clock is mounted in a square, solid wood mahogany finish, box with polished brass fittings. 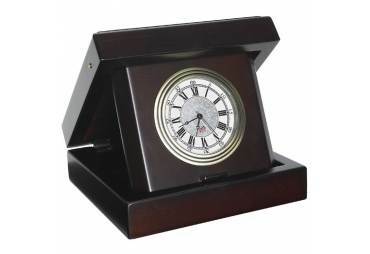 The Gimbaled Box Clock comes complete with a plate for personalization. 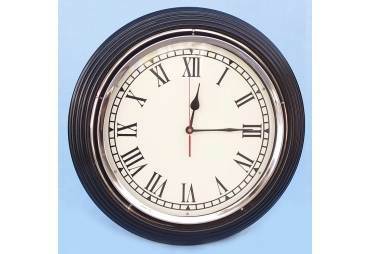 N battery included.